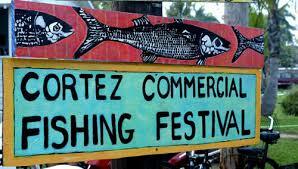 Anna Maria Island - Cortez Commercial Fishing Festival - This Festival brings thousands of people to Anna Maria Island to promote, share the history, and preserve the area’s commercial fishing industry and create awareness of other maritime populations. Cortez Fishing Village is about a five minute walk from the event. This event has live music, art, and many exhibits about the local fishing and marine life. But the feature of this event is the local seafood which comes from the local boats and the fisherman in the gulf and bay. There are also vendors will be cooking food to order during the festival. This festival raises money for the Florida Institute of Saltwater Heritage. Proceeds go towards the Mangrove wetlands just east of Cortez Village. Explore this small fishing village in Florida to enjoy the great outdoors, the finest seafood from the Florida coast, maritime-themed crafts and a cold brew to fend off the oppressive sun. Cortez is a pint-sized fishing village, but that doesn't stop thousands of people from having huge expectations. All 10 blocks of it is packed with an enormous amount of fun.